The historic city of Florence, the capital of the Italian region Tuscany, is one among the cities you have to visit in Italy. With its rich architectural and artistic heritage, especially those from the Renaissance (it is said to be the birthplace of the Renaissance), the city is indeed a feast for your eyes and mind. The Historic Centre of Florence is a UNESCO World Heritage Site. 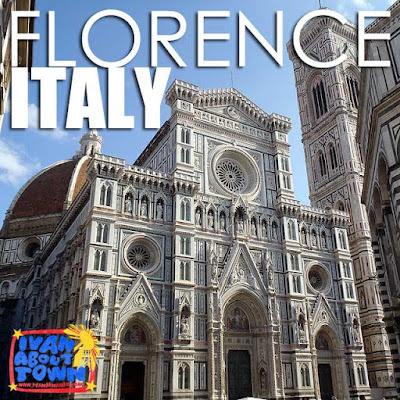 One of its most important landmarks, the Basilica di Santa Maria del Fiore or the Florence Cathedral (Duomo) with its brick dome (the largest in the world) and white, pink and green marble exterior is no doubt impressive. We only had a day to explore and it's obvious it was only the tip of the iceberg with Florence's rich history. Since I'm still in Europe (backlog increasing by the day), I invite you to visit the Florence, Italy album in the Ivan About Town Facebook page.